Learn about the scriptures of Hinduism through a beautifully illustrated poster that has recently been created by The Vedic Foundation. 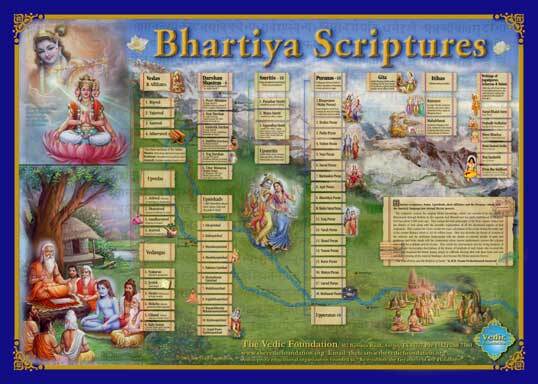 This detailed diagram of the main scriptures, including the Vedas, Upnishads, Puranas, Gita, Smritis, Itihas offers a glimpse of the extent and greatness of our Sanatan Dharm and is an excellent reference that you will refer to again and again. Price per poster Shipping within U.S.
International rates will be emailed for approval.